I got started on this topic years ago: before I was pregnant, I read a great book called Last Child in the Woods, by Richard Louv, which really got me thinking. Louv's book discusses the growing amount of evidence showing that spending free time in nature is crucial for children's development & offers some solutions. I highly recommend you check it out. For people who live in rural areas or perhaps next to a forested area, it's not a difficult thing to get their kids into nature. However for those of us living in an urban environment, where street trees, close-clipped lawns & shrubs make up most of the greenery, the only waterways are gutters on rainy days & the local wildlife consists of crows, seagulls & rats, it's a bit trickier. I recently came across the Suzuki Foundation's educational guide to getting kids outside, aimed at children in grades four to six. My first thought when skimming through it was, this is great, but it won't be useful to me personally for years. What about the really little kids? So I thought I'd take a stab at writing one for toddlers. The following are things that I have been doing or plan to do soon with Sprout. Mud & puddle splashing. If you're worried about their clothes, set aside a set to use for messy activities, or use a muddy buddy & boots. Let them squish it & play with mud & water. Hug a tree. A little nature walk doesn't have to be a big excursion: stop to touch trees & plants as you walk places--give your kid a leaf to play with (maybe not if they're prone to eating everything) & tell them the names of common trees, shrubs, flowers, etc. Go into the woods: Around Vancouver there's family-friendly Rice Lake, easy walks to & around Killarney Lake on Bowen Island, flat wooded trails through tall trees in the Endowment Lands near UBC & Stanley Park has flat gravel trails that even strollers can manage, Trout Lake right in East Van is super accessible, Capilano Dam & Lynn Canyon are hillier but still easy. Get to the water! In Vancouver, we are blessed with an embarrassment of beaches. Spanish Banks, Jericho, Kits Beach (great toddler-friendly playground), English Bay, Second Beach, Third Beach, Ambleside, Deep Cove, Cates Park all have transit-accessible sandy beaches to play on. Or head down to the Athletes' Village for a rocky waterfront & chuck some stones in the water. This, according to Harriet of See Theo Run, will entertain toddlers for hours. Don't forget the fresh water in our city: Trout Lake, Deer Lake, Burnaby Lake & Rice Lake have great opportunities for water play &/or swimming. Bird watching is cool, really! Have you ever watched a heron fishing? Or better yet, the Great Blue Heron colony on the southeast edge of Stanley Park (near the tennis courts & English Bay)? The cacophony of the chicks in their nests is astounding & watching them learn to fly is hilarious. Don't forget that your little one is watching & learning from your every action. Think about the message you're sending while you're out there in nature. Take only pictures, leave only footprints: try to minimize the plant picking & souvenir-taking to keep the natural areas for everyone to share & of course pack your garbage out with you & recycle when appropriate. Respect life: wild animals should never be fed or touched. If you see an animal that you think might need help, don't step in until you contact your local SPCA or wildlife rescue organization to get advice. Water safety: I'm sure you all know to keep an eye on your toddler at all times when near the water, but have you read this article about drowning? It's not a splashing dramatic thing that you see in movies, it's a silent killer. Animal safety: It's worth talking about some of the critters you might encounter in your rambles. The Lower Mainland is home to coyotes, raccoons, skunks (nocturnal, but you might run into one sleeping), bears, cougars (rare), crabs, bees/wasps, seagulls, crows, hawks, eagles, harbour seals & many other animals. Most of them avoid people, but many have lost their fear of people from being fed or getting access to garbage & pet food. Coyotes in particular are a concern as they have been known to attack very small children & a curious toddler might approach one thinking it's a fluffy dog. 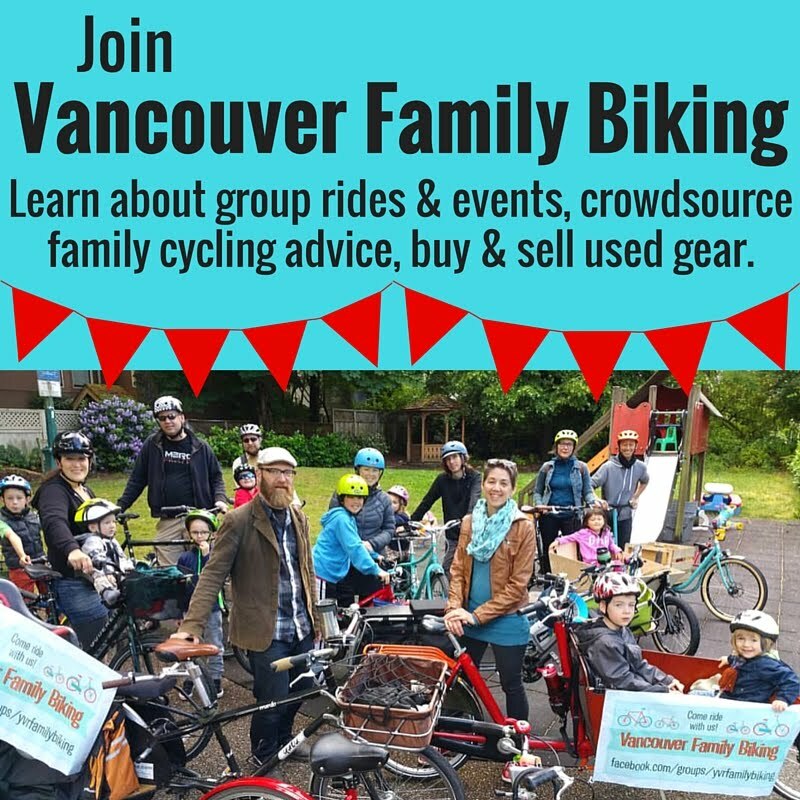 The Stanley Park Ecology Society does great nature walks--not necessarily aimed at toddlers, but you could learn a thing or two to pass on to the littlies. 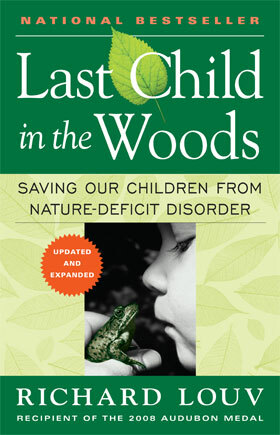 Last Child in the Woods: Saving Our Children From Nature Deficit Disorder by Richard Louv. VPL has nine copies, or you can buy one here. Have you got any other great tips for fun in nature with toddlers & preschoolers? Please share!